The fresh sweet flavor will put a smile on your face. And when this specially made formula is vaped in your high powered MOD unit, you'll relish hours of long lasting, billowing clouds of sweet aromatic Strawberry scented vapor. Vape as is or mix with any of our other luscious flavors. Mix with Cheesecake for a yummy, sweet treat. Or with White Chocolate for a chocolate covered berry "snack" flavor. 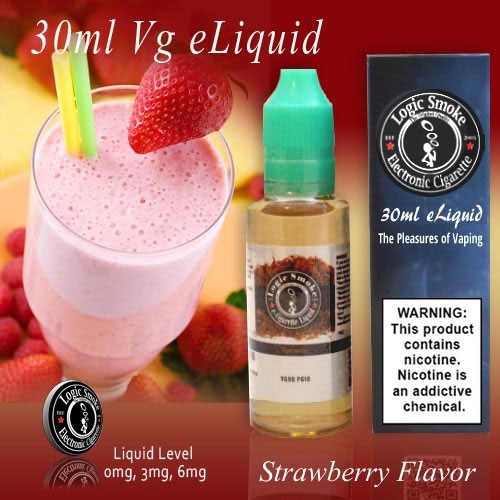 Check out our e-liquid list today and create your own special Strawberry flavor sensation!